When a job calls for versatility and manoeuvrability, a manual hose reel is often the best choice as it allows for easy transport and quick winding by hand. However, not all manual reels are created alike, and some can leave you with less than optimal results. At Reel Tech, however, we’ve dedicated our efforts to ensure our clients always have access to equipment that is as durable as the job requires. Relying on plastic construction. This may yield an overall lower weight, which is ideal for applications that involve a great deal of movement, but they are not nearly as strong as the alternative. Ultimately, plastic becomes brittle and breaks far more easily than steel or aluminium, which should be your preferred material. Choosing a reel that does not properly align with your particular industry’s requirements. Whether you are fighting fires or working in heavy industry, don’t select a product that was not purposefully designed and built for your use. Failing to consider how a reel offers additional protection to the cabling or hose. Look carefully at features to select hardware that can protect not only your staff but also your equipment itself. Not specifying a geared hank crank reel to assist operators. Reel Tech can help you choose the appropriate reel for your operation. Reel Tech’s products are ideally suited to avoiding these concerns, using all-metal construction built to relevant Australian standards. An extensive range of reels available for nearly every industry, enabling a wide range of robust solutions. From Fire Dog™ for fire-fighters to Pit Bull™ products for mining, we are ready to ensure your hoses always have the proper storage available. 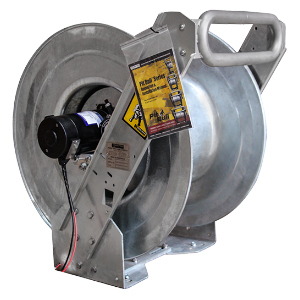 Many accessories designed to complement the reels above to make every job simpler. Choose hardware designed to assist with lay-flat hoses or add additional safety features as needed. Superior customer sales support from start to finish, ensuring you have a clear path to obtaining precisely what you need from our team. Our experienced team is ready to offer our understanding to our clients in search of a better solution today. 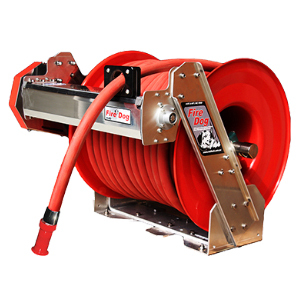 Why Trust Reel Tech’s Manual Hose Reel Options? With years of experience and an extensive product range, Reel Tech has established itself as an industry leader Australia-wide. Alongside these wide-ranging connections with many satisfied clients, we also hold a variety of patents on our designs. Combine this versatility with our reel accessories and post-sales support, and you will find we are well-suited to assist you no matter the task at hand. Contact us today for further details.